This gallery shows how a finished picture might look in a display environment. For a closer view of the piece, locate in the appropriate 'image only' gallery. Much goes into the final composition of any piece I create, including cropping, matting and frame selection -- which I see as integral to the final finished art piece. This website is not a storefront for the sale of digital images, rather a portfolio of work. I do not directly sell prints or image downloads, only finished pieces. If you do see an image you might be interested in purchasing, please contact me directly @ stonebridgestudios@gmail.com, and I will fill you in on details of the finished piece or consider customizations for your display environment. Thank you for taking interset in my work. P.S. 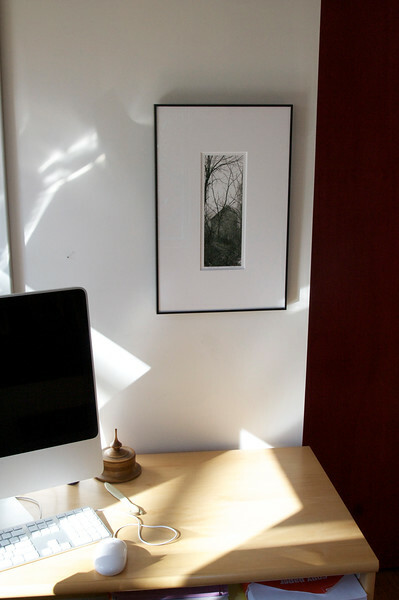 Most photos are digital SLR and most often printed on Hahnmuhle photo rag with archival pigmented inks.